It is our great pleasure to announce that Joensuu – 19th National Session of EYP Finland will be joined by experts from the Finnish Academy – the largest funder of scientific research in Finland. The first day of committee work will feature expert hearings, during which delegates will have the chance to ask questions and evaluate their ideas with some of the leading experts of their topics in Finland. Feeding the continent: with the Common Agricultural Policy representing a half of the EU’s budget, should the EU continue sub¬sidising agriculture in its Member States or rely on other measures or areas of the globe in securing its food supply? Academy Professor Jari Valkonen, University of Helsinki, is a specialist in plant pathology and plant virology, but he also applies and combines methods of genetics, genomics and molecular biology. Valkonen conducts research into diseases caused by plant viruses and the ability of plants to resist such diseases. He also develops new strains with higher resist¬ance to viruses, particularly for the potato. Responsibility to protect: what role should the EU take in dealing with the violent suppression of civil movements in non- Member States, such as in the cases of Libya and Syria? What should the correct balance between diplomatic, military and civil measures be? 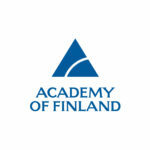 Academy Research Fellow Mika Aaltola is Programme Director of the Global Security Research Programme of the Finn¬ish Institute of International Affairs. He is a specialist in US domestic and foreign affairs, major-power relations, Finnish foreign policy, religion and world politics, humanitarianism, and the politics of international health. Dead aid? Combined, the European Commission and the EU Member States constitute the single largest donor of development aid, but the effectiveness of development aid is frequently questioned. How should the EU make sure the European development funds are best utilised to secure a better economic and political future for the developing world? Tytti Nahi is working on her doctoral dissertation for the Aalto University School of Business in Helsinki. She is interested in the societal effects of Finnish business enterprises’ activities in the limited markets of developing countries. Previous¬ly, she has worked as a development policy adviser for Kepa, the umbrella organisation for Finnish civil society organisa¬tions (CSOs), as a lobbyist for Finnish politicians in issues concerning development, trade and international economic policy. Rebuilding the eurozone: with the sovereign debt crisis continuing to threaten the existence of the common currency, what should the future model of the monetary union be? Does the answer lie in further centralisation of the financial system or stronger national sovereignty over financial matters? Marko Terviö has held a professorship at the Aalto University School of Business (Department of Economics) since 2009. Before that, he was Assistant Professor at the University of California, Berkeley. Terviö’s field is microeconomics, with particular focus on labour market issues. After the arguably unsuccessful “Science: It’s a girl thing!” campaign by the European Commission: going beyond mere media campaigns, how should the EU make careers in science more attractive to young people, both female and male, and better ensure a successful and sustainable future for European science? Marja Tiirola is Lecturer in Hydrology at the University of Jyväskylä. Tiirola heads the Nordic Network for Stable Isotope Research (NordSIR). Her research focuses on the biogeochemical cycle of coal in land and water ecosystems as well as on the development of novel methods of molecular biology for environmental microbiological research. Tiirola has a background in molecular biology. The ageing population: with fragile pension systems, talks of labour shortage and increasing demand for health care services, how should the European governments best prepare for the coming era of an ageing continent, and what role should the EU play in it? Teppo Kröger is Professor of Social and Public Policy at the University of Jyväskylä (Department of Social Sciences and Philosophy) and holds a docentship in social work from the University of Tampere. Kröger’s specialty is international benchmarking of care services. He has participated in several European and global research projects that have compared child day-care, services for older people and informal care in different countries and analysed the reconciliation of fami¬lies’ care responsibilities with work participation. The rise of the East: with China expected to surpass the United States as the world’s foremost economic power even sooner than expected, where should the priorities of the EU lie in building its economic relations on the global arena? Laura Solanko is an economist and adviser for the Bank of Finland Institute for Economies in Transition (BOFIT). BOFIT monitors, analyses and conducts academic research into the economies of Russia and China. Solanko is a specialist in Russian economic and energy policy, finance sector development and energy relations between China and Russia. The post-Fukushima Europe: with the challenge of balancing environmental sustainability, security and the need for cheap energy, what role should nuclear energy play in EU Member States’ energy strategies? Rainer Salomaa is Professor of Applied Physics at Aalto University, specialising in lasers, radiation physics and nuclear energy. Salomaa has done extensive work with safety issues of nuclear power plants and with R&D in the context of next-generation fission and fusion reactors. Building the periphery: mechanisms such as the Structural Funds and the Cohesion Fund have played an important role in developing the peripheral areas of Europe, but they are also costly. Keeping in mind that metropolitan areas are the primary motors of growth, how should the EU best support its peripheral areas to suit the needs of their population? Heikki Eskelinen is Professor of Regional Studies at the Karelian Institute of the University of Eastern Finland. Eskelinen conducts research into the development of remote areas and the collaboration between cross-border regions. Previously, he was a Jean Monnet Professor in European Spatial Development and Policy. He is currently also Director of the Finnish Contact Point for the ESPON Programme (European Observation Network for Territorial Development and Cohesion). Hacked passwords, identity theft and the power of the Anonymous: with hackers outsmarting engineers, institutions and citi¬zens are subject to attack. What measures should the EU take to better ensure cyber-security and the protection of personal data? Professor Kaisa Nyberg from the Aalto University Department of Information and Computer Science conducts research into the security of cryptographic algorithms. Nyberg heads a team that is developing statistical analysis methods es¬pecially suited for defining the security level of symmetric-key encryption methods. The team is also analysing security as to the implementation of various forms of encryptions, both in a software environment and in hardware. She has also worked for Nokia Research Centre and participated in the planning of new encryption methods for 3G mobile phone net¬works and Bluetooth systems.